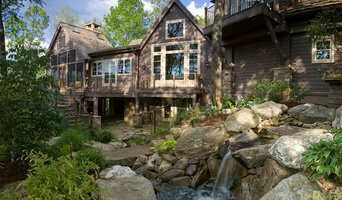 A Brevard, NC native, Aaron has 15 years of experience photographing interiors and exteriors throughout the southeast. 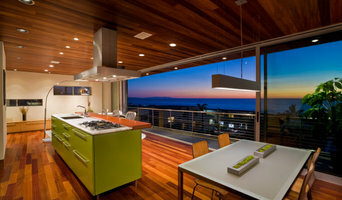 His style is known for minimal use of artificial lights thus preserving the natural ambience of the home. Aaron is flexible, client sensitive and professional. Marilynn Kay Photography's work is known for the beautiful lighting in our images. Every shot is perfectly exposed with detail in both the highlights (think "windows") and shadows. Enhanced windows, sky replacements, and fires in fireplaces and fire pits are all provided as part of our service and you'll never see shadows created by flash! Our photos have appeared on the cover of many magazines, on TV, and featured on zillow.com, The Wall Street Journal and other publications. I design photographs Since 1987, I've been refining my approach to emulate that of my clients in ways they generally don't expect. Few builders, architects or designers plan to meet someone with their passion. But that's quickly overcome the moment they see what I do and how I do it. Once I've satisfied the requirements of the shot in your mind, I shoot more. And my shot, thanks to my background in marketing and advertising, may just have something you hadn't considered. 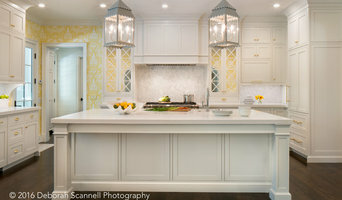 Asheville Photographer Deborah Scannell, offers her Interior and Architectural clients a unique perspective, as she enjoyed a successful 20+ year career as an award winning Interior Designer with her main focus on the Kitchen & Bath industry. Deb retired from her career and decided to turn her attention and focus to her other passion, Photography. After graduating the Photography Institute, Deb continued her studies and self-taught the art of Interior Photography as well as Nature Photography, and other branches of photography. Her work is featured in many local and regional magazines. Her nature work reaches clients in various countries across the globe. Many say that her work has a three dimensional quality as she perfects the capture of light. Deb now consistently works with leading builders, architects and designers of the Carolina's, Georgia, and Florida and produces professional photography at affordable prices. Product Photography Studio, Architectural Photography, Interior Design Photography, Aerial stills and video, Certified Thermographer (InfraRed Imaging). Comprehensive Real Estate Imagery, 3D Virtual Tours, Professional Photography, and aerial Drone visuals. I enjoy helping my clients illustrate their brand through photography. I am available for commercial and editorial photo assignments worldwide. I am a freelance photographer and social media manager specializing in documentary photography and business promotion. Primarily, I focus on photographing interiors and exteriors (of homes, businesses, etc.) and promoting them through various online media, particularly on my blog. As a photojournalist, my style of photography captures candid moments and emotions. This translates into photographing homes, where I try to take large wide-angle shots as well as close-up accent shots to capture the personality of each home. High quality. eye catching architectural images to help you promote your business. Capturing the Essence of the subject matter I am photographing. I've been a professional photographer for over 10 years and I love working with my clients. What Is a Home Photographer? A home photographer is trained to make your home look its best. If you are a design professional — an architect, an interior designer or a contractor, for example — consider hiring a photographer to capture your work to enhance your portfolio, and to attract and engage new clients. They understand what buyers and renters are looking for, and they have the equipment and editing skills to fulfill those expectations. Professional home photographers vary quite widely in the services that they offer. Some photographers include home staging in their rate, some include editing and some want to come prior to the shoot date to set up shots. Others will not offer these services unless asked or will charge an additional rate. Make sure you ask the photographer beforehand what is included in the cost. If he or she does not offer everything you need, you might want to consider reaching out to other professionals to get the best finished product. Here are some related professionals and vendors to complement the work of photographers: Home Stagers, Interior Designers & Decorators, Architects & Building Designers, Real Estate Agents. Before you call any potential photographers, make sure they have good references. Friends who've sold or rented homes before are great resources, as are local real estate agents. Look through each North Carolina photographer's online portfolio to make sure what you're looking for is being offered. Once you've done that, it's a good idea to walk around your home and write down exactly how many and what types of shots you'll need. Include any specifications you might have, such as angles, things to consider about your home’s Mars Hill, NC site, the time of day you think will be best and aspects of your home you want to highlight. Is photo editing included in your rate? How long will it take for you to provide the photos? Do you do home staging? What happens if I don't like the first round of photos? Do you offer consultations prior to the shoot? Find a home photographer on Houzz. Narrow your search in the Professionals section of the website to Mars Hill, NC photographers. You can also look through Mars Hill, NC photos by style to find a room you like, then contact the professional who photographed it.